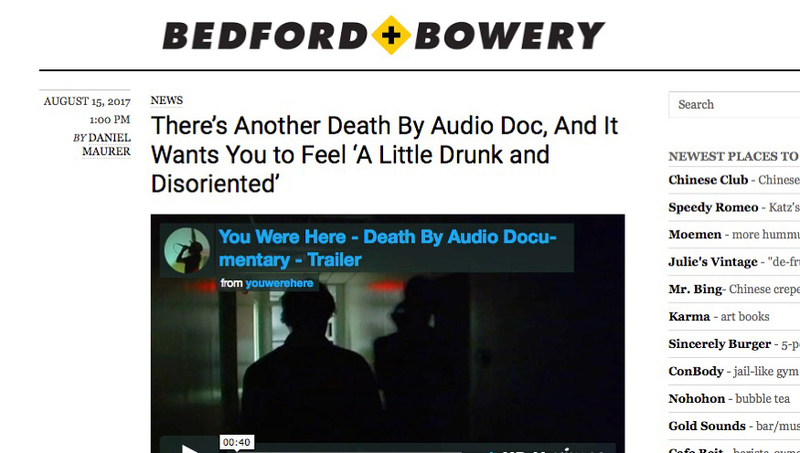 YOU WERE HERE - ONE YEAR AT DEATH BY AUDIO - is an experimental documentary. It's a noisy, dirty beautiful portrait of one year at the Brooklyn DIY venue Death By Audio. Shot entirely from November 2007 - November 2008, it takes you behind the scenes, through the labyrinth of rooms, into the live shows and lets you feel what it was like to be there during that formative year. It’s a genuine document, an honest glimpse into a slice of time that will never happen again.